I wonder, if like me, you have been aware of how few honey bees we see in our gardens and on our plots these days? While yesteryear they were everywhere, now they now only put in rare appearances. It’s an almost unthinkable thought, but if we don’t manage to do something to help our bee colonies soon, we may lose them. Our bees are embattled today as never before and seem to be under attack on every front. Individually and collectively, locally and nationally we need to come to their assistance. 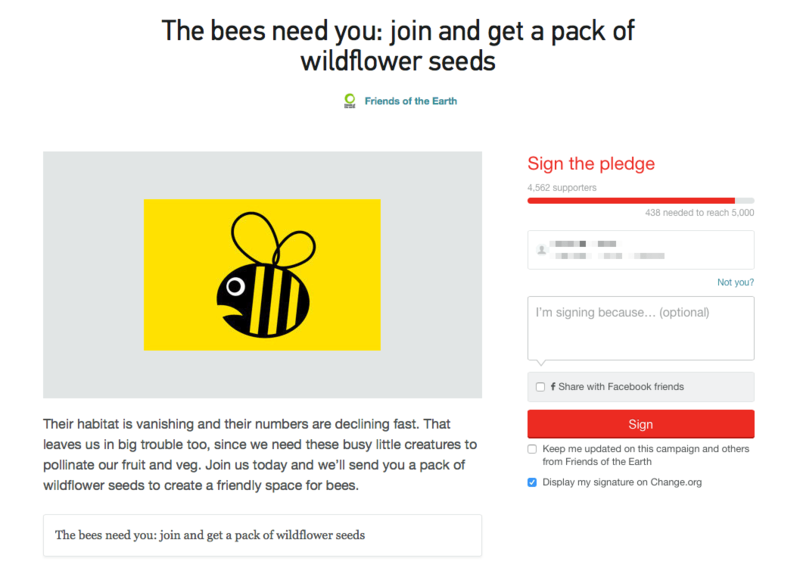 Change.org has a petition running for Friends of the Earth at present and are offering a packet of free wildflowers to everyone who signs: So for a few moments of your time you can demand action nationally and help take some practical steps locally on our site to help our buzzy friends along.